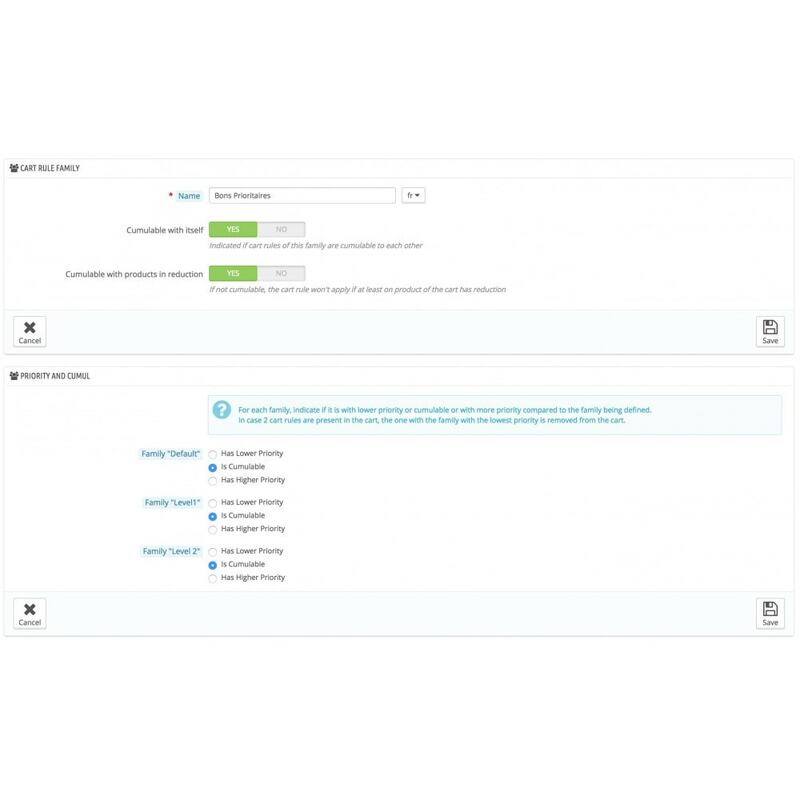 In 1.5/1.6, the combination of the cart rules is defined in each cart rule configuration page. 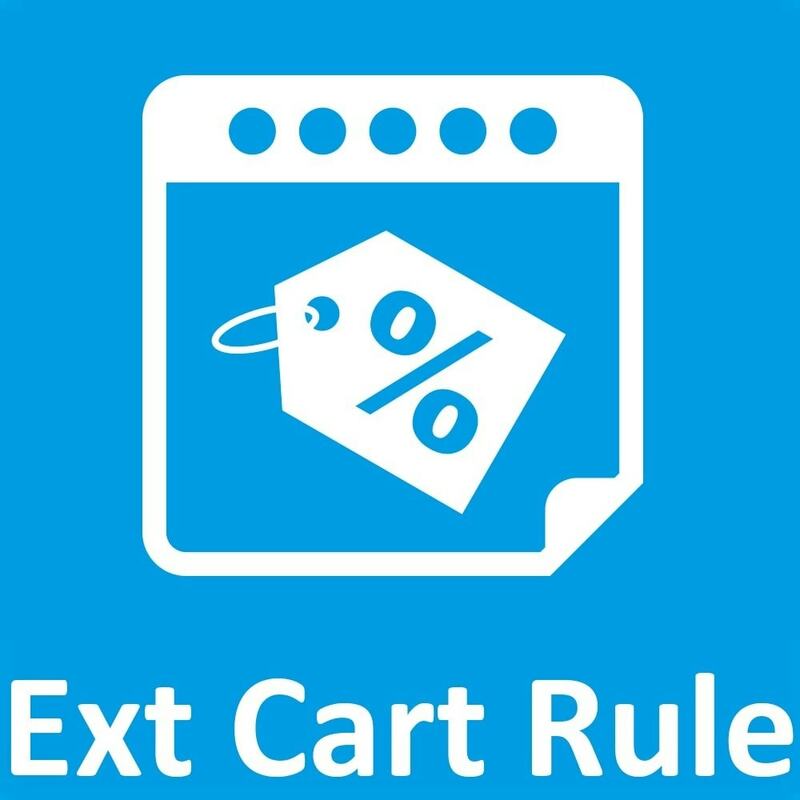 For shop having many cart rules, this leads to big troubles. This module enhance the way the combination is managed, by placing this configuration in a more global place. 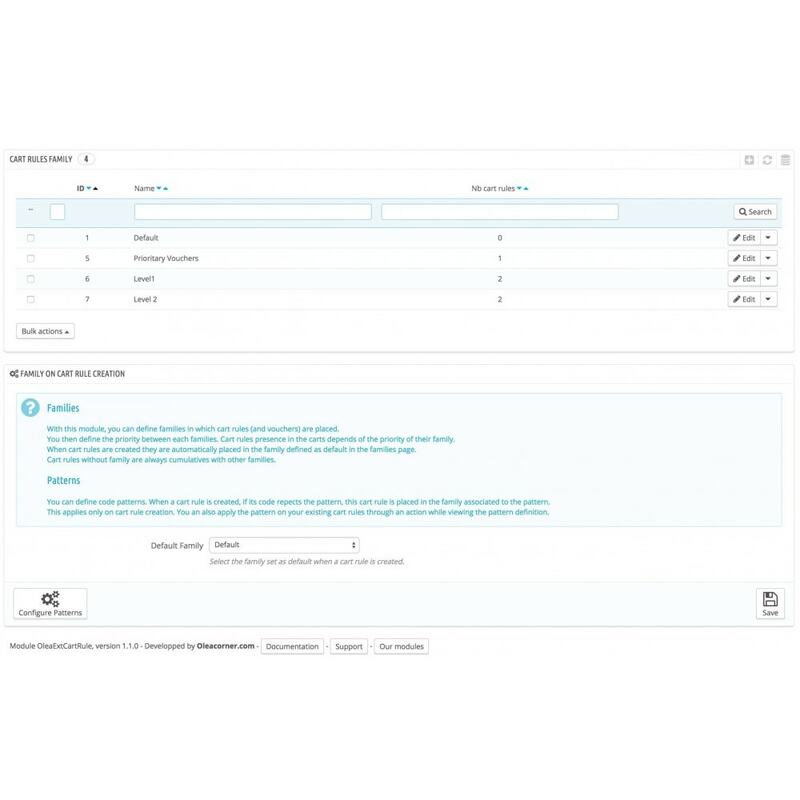 With this module, group all your cart rule (and voucher code) into families, for which you define the way their rules can be cumulative or exclusive. To be compatible with core features and modules generating voucher, you can define voucher code patterns. This avoid to modify php code regarding code generation. Each feature or module generate voucher with a code following a given format (for example V[id]C[id]O[id] for the credit slips). When a new cart rule is created, the module detects if its code follows one of the defined pattern. In such case, the cart rule of this voucher is pa-laced in the family associated to the pattern. 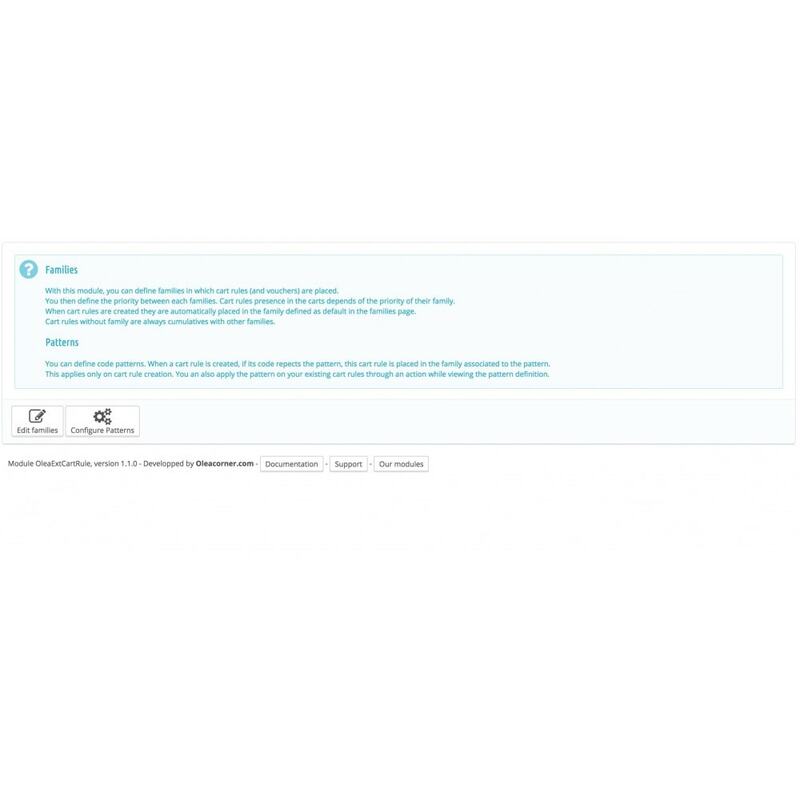 In front-office, when the customer change his cart content (add/suppression of product, add/suppression of discount...), the Prestashop Core evaluate the cart rules. The module is called during this phase to determine the combiantion and priority depending of the cart rules families. You can give your customer more accurate voucher and discounts.